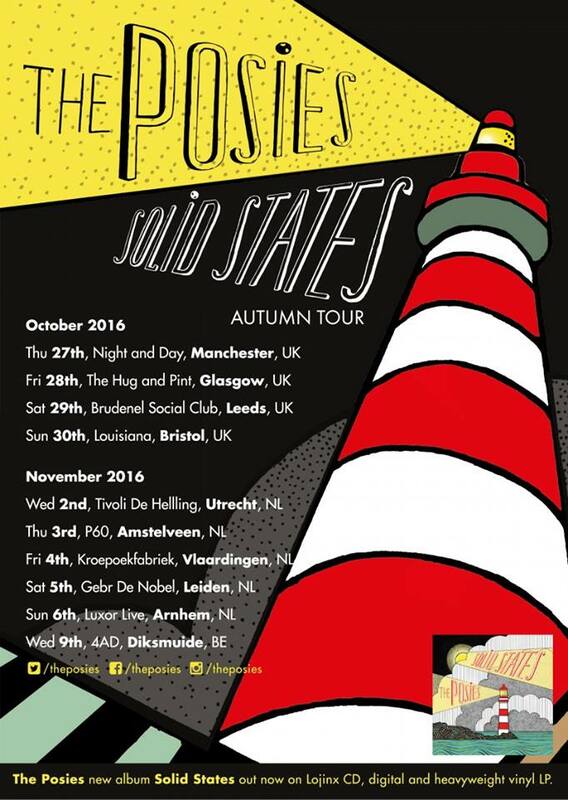 America's The Posies, formed around 30 years ago, have announced an Autumn European tour including dates in Manchester, Glasgow, Leeds and Bristol in October. This follows a run of 27 secret shows in the US, in unusual venues, with the information released to attendants on the day of the show (not far from the Sofar Sounds idea.) The tour is to promote the record Solid States which was released earlier in the year (you can listen to a couple of the tracks from it on Soundcloud here, including the below track Unlikely Places). Following the death of former members Darius and Joe, the record is fairly contemplative, exploring the themes of death, divorce and loss, but the songs retain their harmonies and represent a collaborative effort from Jon Auer and Ken Stringfellow. For shows, the duo are being joined by album collaborator Frankie Siragusa on drums (and no bassist). Tickets for the tour are available from 3rd June, and the album is out now through Lojinx here.